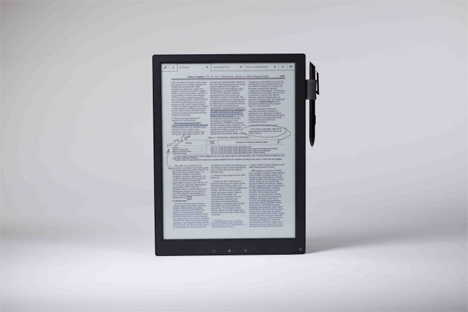 E-Ink and Sony’s Digital Paper technology are poised to become the next big important thing in digital communications. 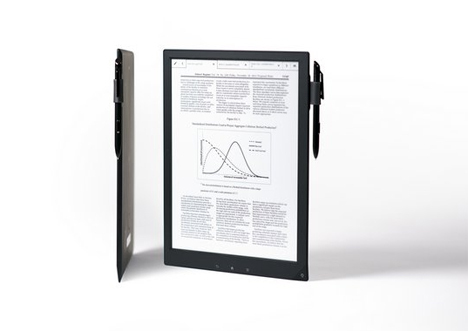 The Sony DPTS1 is a newly-unveiled Digital Paper tablet aimed at professionals. Sony is banking on those professionals being swamped in hundreds of physical pieces of paper and seeking a way to dig themselves out. That goal isn’t as unattainable as it may seem. For professionals like attorneys, legislators, and anyone else who has to deal with vast amounts of hard-copy documents every day, they really can get overwhelming. 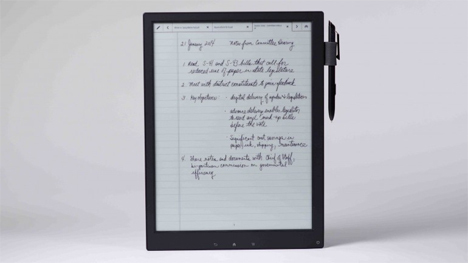 The Digital Paper tablet is roughly the same size as a sheet of A4 paper and gives the feeling of writing on an actual piece of paper with an actual pen, helping make the transition easier. With a generous 4GB of internal memory and a micro SD card to accommodate even more data, the tablet has more than enough ability to store just about everything an office worker needs from day to day. The tablet is equipped with wi-fi and a USB outlet for easy sharing. It converts Excel, MS Word, and PowerPoint documents into PDFs to make them more portable. The E-Ink technology lets you write on the documents as if they were actually sitting on your desk, resting your hand on the screen as you write. Some of Sony’s suggested uses are signing contracts, annotating scholarly articles, and making notes on legislation documents. Sony says that the tablet will be ready to use right out of the box complete with a lithium ion battery that can operate up to three weeks on a single charge. 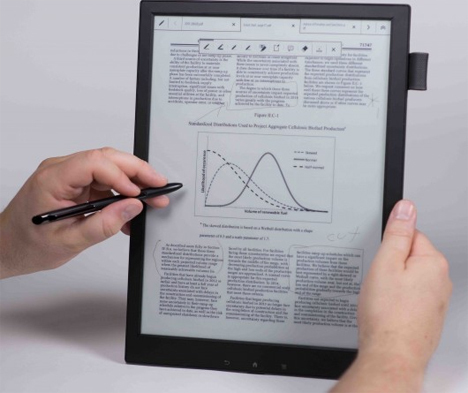 Features like simple zooming, touchscreen page-turning, wireless sharing, and natural-feeling note taking will make the lightweight tablet an indispensable accessory in offices. At least that’s what Sony is banking on; the expected price tag for the tablets is reportedly a cool $1,100. See more in Computers or under Gadgets. April, 2014.